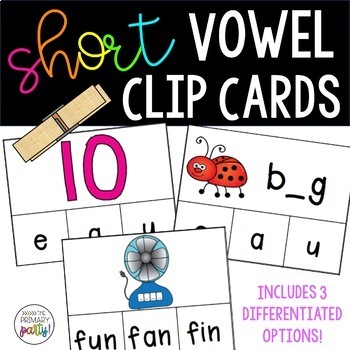 These CVC and Short Vowel Clip Cards are the perfect way to practice medial short vowel sounds in a fun and engaging way! Just choose which set works best for your students and print, cut, and clip! If you love this product, please leave feedback! Check back often for new products and follow @theprimaryparty for updates!